Each year, Higgins Piano Studio holds a fundraising recital to benefit the Ronald McDonald House Charities. Students are encouraged to secure donations for Ronald McDonald House, and perform in the annual fundraising recital. Since 2015, students in Higgins Piano Studio have raised over $4,500.00 for Ronald McDonald House. Congratulations to the following students who participated in the Ronald McDonald House Community Service Duet Recital, held at Steinway Piano Gallery. These students raised over $1,500 for Ronald McDonald House Charities:! Congratulations to the following students who participated in the Ronald McDonald House Community Service Performathon, held at Steinway Piano Gallery. Students performed on Van Cliburn's legendary Steinway Piano during the Performathon, and raised over $1,000 for the Ronald McDonald House Charities! Performers: Shawn An, Sanjana Bellapu, Doug Dracon, Ellen Eichstedt, Sarah Eichstedt, Garson Garcia, Sophie Liu, William Pak, Ashna Patel, Elaine Tang, Irene Yang, Isabel Yang, and Audrey Zhou. Congratulations to the following students who participated in the Ronald McDonald House Community Service Performathon, held at Queeens University in September, sponsored by Ronald McDonald House and the Steinway Piano Gallery! 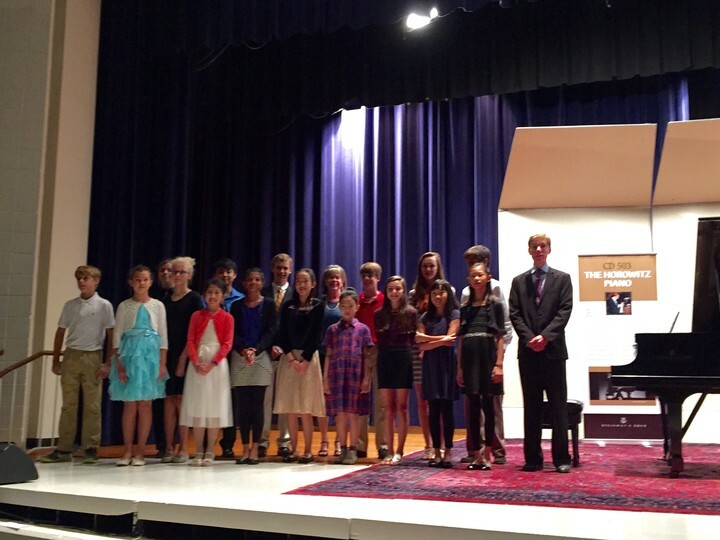 These Students performed on Vladimir Horowitz's legendary Steinway Piano during the Performathon, and raised over $2,000 for the Ronald McDonald House Charities! Below are the 2015 Performers.